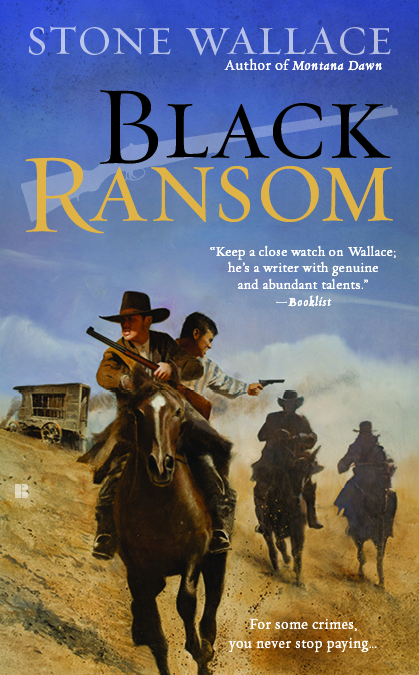 I’m delighted to have the opportunity to feature the cover image for Stone Wallace’s upcoming release of Black Ransom, a Western in keeping with the Noir tradition of greats like 40 Guns (a Barbara Stanwick film I had the privilege of seeing at the Mechanics Institute in San Francisco last month). Black Ransom will be released by Berkley on January 7, 2014. I have read the manuscript – prepare to be engrossed and provoked.